Start off your visit on the 11th (Sat): identify plant and animal life at Featherdale Wildlife Park, then hike along The Opera House to the Botanic Gardens Walk, and then kick back and relax at Bondi Beach. 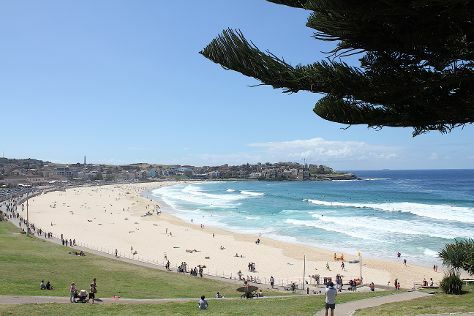 Get ready for a full day of sightseeing on the 12th (Sun): wander the streets of The Rocks, then enjoy the sand and surf at Manly Beach, and then tour the pleasant surroundings at Camp Cove. To see other places to visit, traveler tips, maps, and other tourist information, read Sydney holiday builder site . If you are flying in from United States, the closest major airport is Sydney Kingsford Smith International Airport. In May, plan for daily highs up to 70°F, and evening lows to 54°F. Wrap up your sightseeing on the 13th (Mon) to allow time to travel to Broadbeach. Start off your visit on the 13th (Mon): stroll through Burleigh Head National Park, then identify plant and animal life at David Fleay Wildlife Park, and then stroll through Burleigh Heads Beach. Keep things going the next day: enjoy the sand and surf at Surfers Paradise Beach. To see photos, traveler tips, reviews, and more tourist information, refer to the Broadbeach trip itinerary app . Fly from Sydney to Broadbeach in 3.5 hours. Alternatively, you can do a combination of flight and train; or drive. May in Broadbeach sees daily highs of 74°F and lows of 55°F at night. Cap off your sightseeing on the 15th (Wed) early enough to travel to Cairns. Start off your visit on the 15th (Wed): see some colorful creatures with a scuba or snorkeling tour. To see more things to do, maps, other places to visit, and more tourist information, read our Cairns online trip itinerary maker . You can fly from Broadbeach to Cairns in 3 hours. Alternatively, you can do a combination of train and flight; or drive. 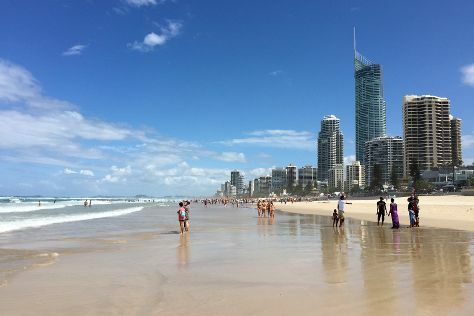 In May, Cairns is a bit warmer than Broadbeach - with highs of 82°F and lows of 69°F. Finish up your sightseeing early on the 16th (Thu) so you can travel to Melbourne. On the 16th (Thu), identify plant and animal life at St Kilda beach and then admire the natural beauty at Royal Botanic Gardens. On the 17th (Fri), you'll have a packed day of sightseeing: look for all kinds of wild species at Wildlife Areas. For photos, maps, ratings, and tourist information, you can read our Melbourne sightseeing planner. You can fly from Cairns to Melbourne in 6 hours. Other options are to drive; or take a train. While traveling from Cairns, expect slightly colder days and colder nights in Melbourne, ranging from highs of 63°F to lows of 46°F. On the 18th (Sat), wrap the sightseeing up by early afternoon so you can travel back home.